SupraTix GmbH, a startup founded in Dresden in 2016, is developing a hybrid solution for corporate learning. The corporate routine is becoming more digitalized and connected. Companies looking for new forms to attract, motivate and involve workforce in a learning process. The aim of hybrid solution is to raise employees’ internal motivation to reach learning goals. The solution is that a training’s content and purposes penetrate ingenious an everyday routine in order to provide a long-term insight into a topic learnt. The employee gets into the topic “by doing” while the learning process is under the radar. 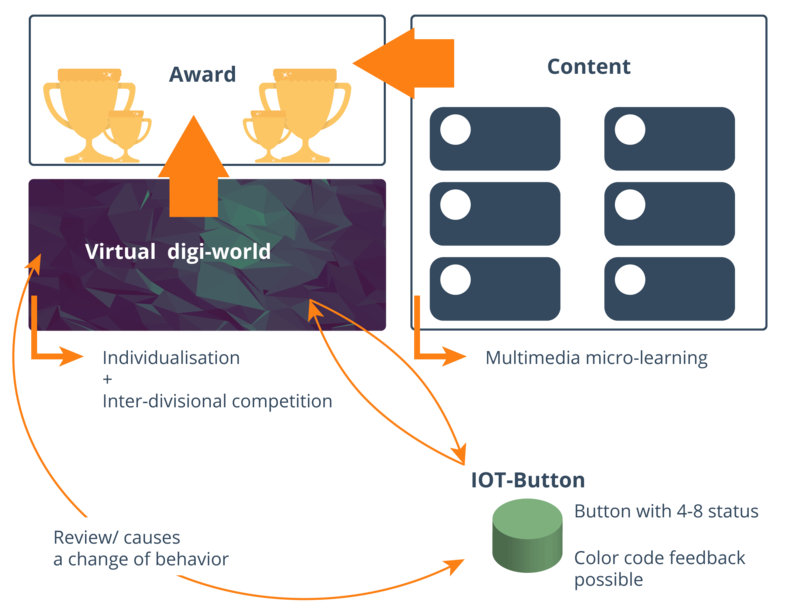 The hybrid solution consists of four blocks creating a virtual world where 20-minutes multimedia microlearning modules, awards (including serious game) and a personal IoT-Button are connected. The IoT-Button can receive employee’s interaction and provide feedback. SupraTix offers the innovative cloud solutions in the field of smart environments: a proprietary product for predicted learning, world´s first cloud robots, a cloud-controlled and optimized production processes as well as artificial intelligence in competency-based employee development. SupraTix produces web-based training with html5 content, serious games, VR / AR, EdTech IoT hardware, webinars and online-contests as well as e-learning consulting services. Bildmaterial zur Pressemitteilung erhalten Sie hier.